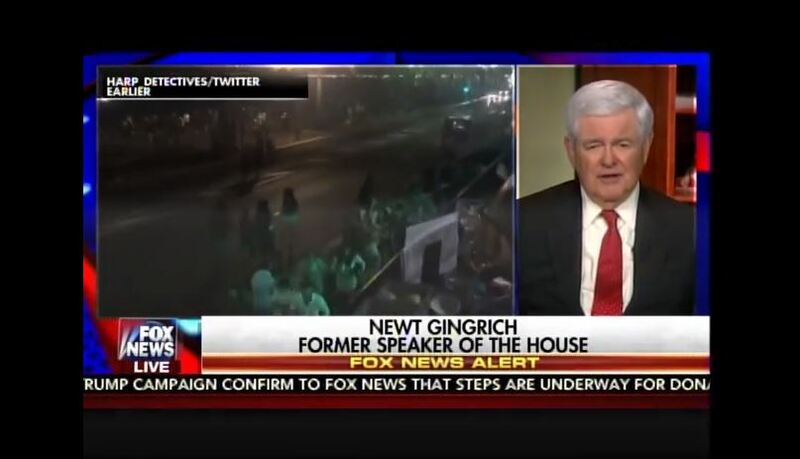 Responding to the horrific attack in Nice, France, where some 80 people were killed and many more injured when a truck loaded with guns and grenades plowed through a crowd celebrating Bastille Day, former House Speaker Newt Gingrich suggested that Muslims who believe in Sharia law should be deported. He didn’t stop there, however. He went on to suggest severe penalties for those who frequent pro-terror websites. “Anybody who goes on a website favoring ISIS or Al-Qaeda or terrorist groups that should be a felony, and they should go to jail,” he said. Moreover, he said that any organization hosting such a site should be closed down. Gingrich also blamed the Nice attack on “Western elites who lack the guts to do what is right; to do what is necessary…” And, he added, that starts with Barack Hussein Obama. Good luck with that, though. As TK Whiteman pointed out earlier, our political leaders simply don’t have the guts to do what needs to be done.